Roll-Tech Molding Products is proud to offer flat-free tires. 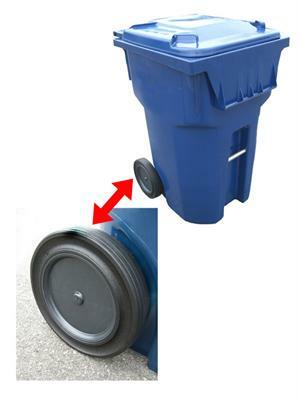 These wheels are designed for residential trash can applications. Each of these trash container wheels are made of solid rubber tires or plastic treads and are mounted on an axle by Snap-On. 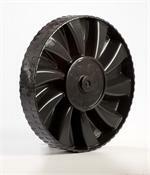 We supply these trash can wheels to all major cart manufacturers in North America. We have wheels with integrated spacers that fit all carts, all makes, and all axle sizes. 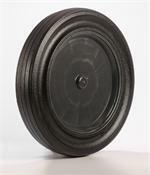 Check the categories to select the replacement wheel for your cart. When you need new trash container wheels, you can count on our business! We are proud to offer quality flat-free tires that are ideal for people seeking new trash can wheels for your business or personal needs.